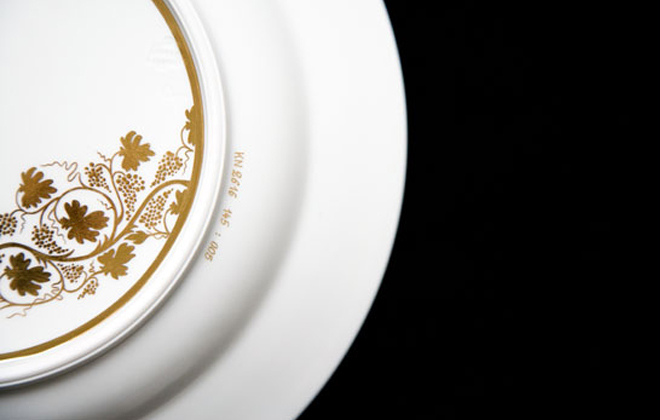 Imagine being told that the porcelain tableware service that you just ordered will be ready for you to collect…in two years! That is exactly what you will hear if you are purchasing a Nymphenburg porcelain four-part delivery service. Not necessarily something that most of us are in the market for these days. But if you were, that is exactly what you will be told if you were to place that order with Nymphenburg porcelain. I kinda love that you would wait for two years to get something that lasts a lifetime and beyond. 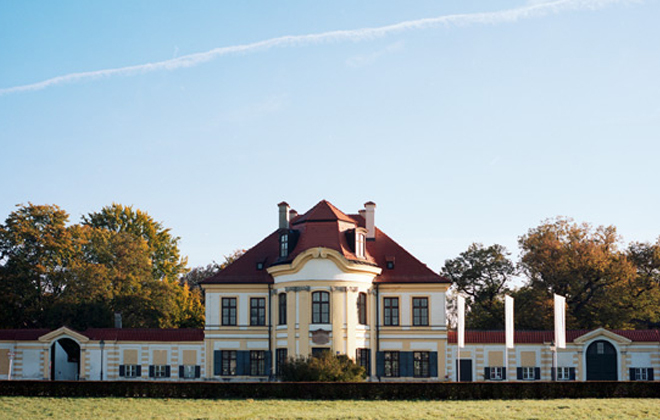 When we lived for a brief while in Munich recently, I had the chance to visit Schloss Nymphenburg where the porcelain manufacturer by the same name is located. 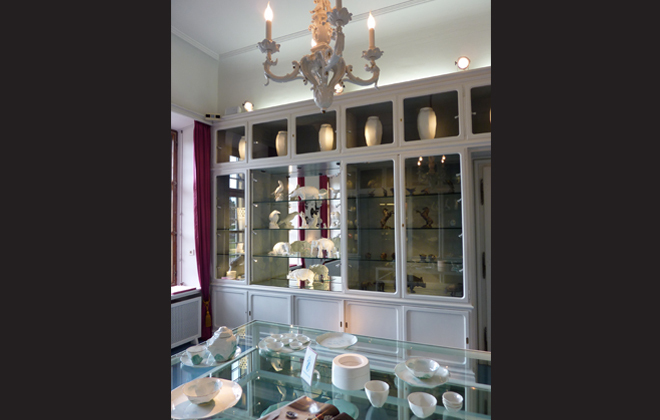 Nymphenburg has been handcrafting some of the worlds finest porcelain for 260 years at this one location since its creation. 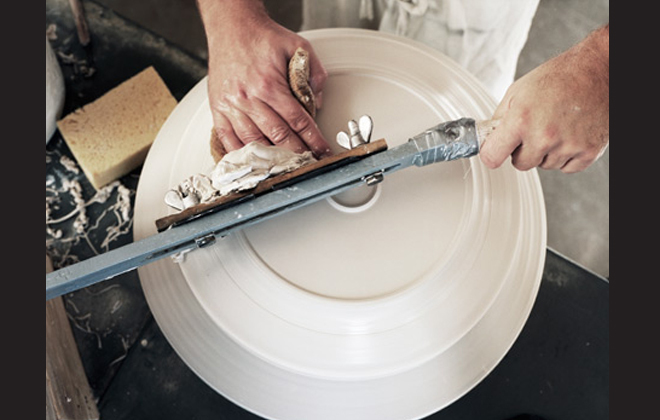 Porzellan Manufaktur Nymphenburg is one of the last porcelain manufacturers who still produce each individual item by hand. 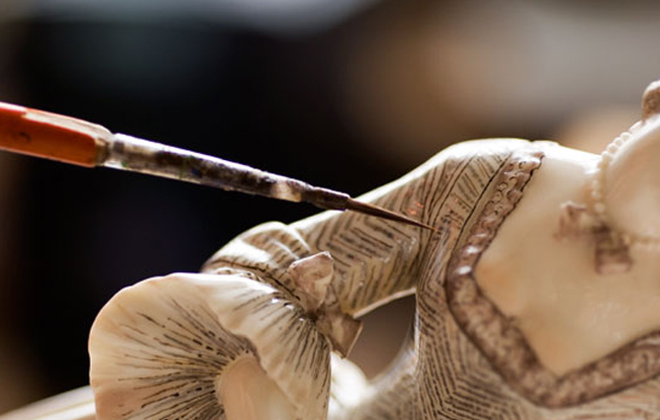 Handcrafted porcelain takes time and is a rarity these days. That is a fact – a fact that is appreciated by experts and collectors alike, but as quoted by Nymphenburg themselves on their website, “the amazement of customers who are told that delivery of a four-part service will take two years shows how far removed we have become from the appreciation of artistic work and craftsmanship”. How true. One of the other reasons I wanted to talk further about this porcelain is because it has been such a pioneer of visionary collaborations of art and decorative objects since the mid-1700s and continues to do so to this day. 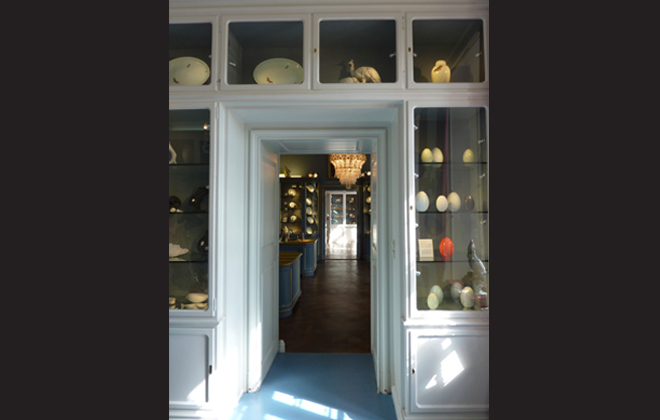 One would imagine this type porcelain to be a bit staid or conservative in design, but upon visiting the factory and shop in Munich that would certainly change your mind! The history of this manufacturer warrants another post at a later date so that I can take you further into the details behind all the artists they have collaborated with then and now. I will also explore the craft of porcelain making in more detail. 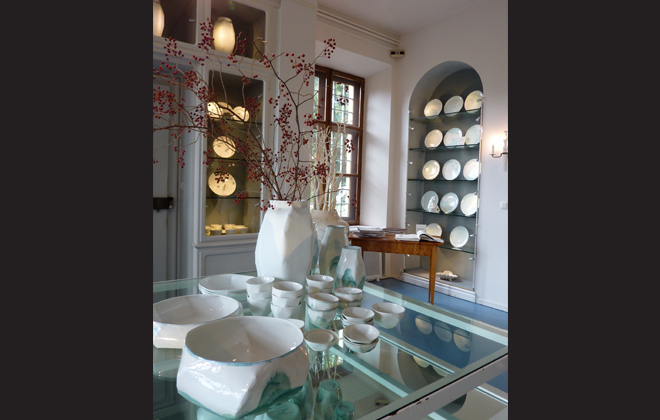 For now, here is a little taste of Nymphenburg porcelain and the lovely surrounds in which it exists. Inside the store/gallery. Interior photos by Interior Monologue. More of the interior. So zen-like and inspiring.